The tongue and groove effect centre panel in this Premier Stockholm door is enhanced by our light coloured finish: Hornschurch Ivory. 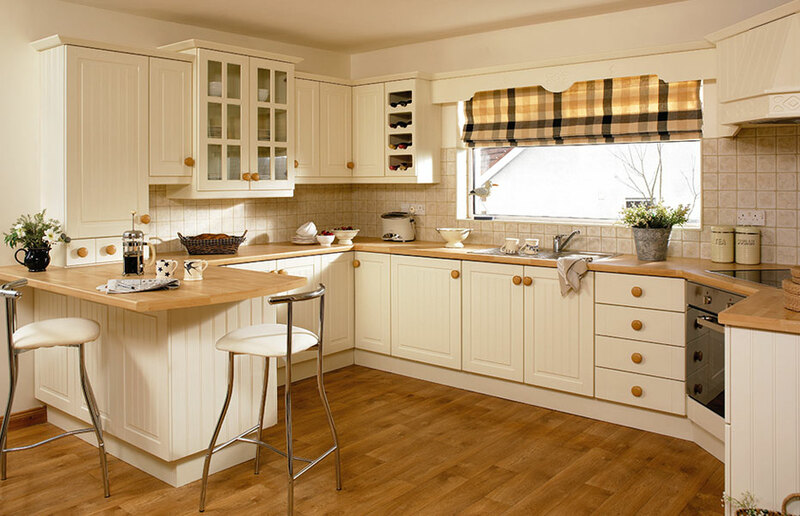 The use of Beech Butcher Block worktops and Beech knobs create a warm, country style kitchen. 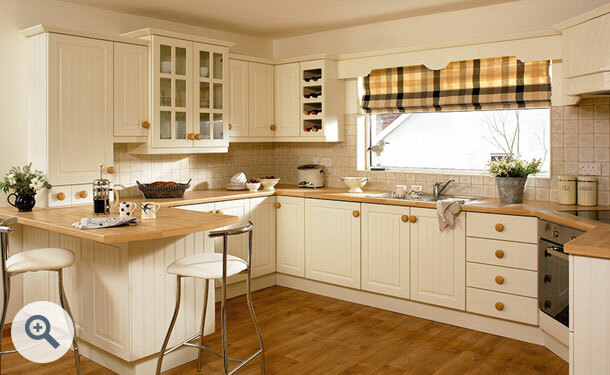 Premier Stockholm kitchen drawer fronts start at just £6.41. Click the button to purchase a Sample Premier Stockholm design door in the Hornschurch Ivory finish. The Premier Stockholm design is also available in ALL non-gloss finishes. The Premier Stockholm design is also available in ALL high gloss finishes.